Around 60 women who have experienced chronic pain and other issues due to the devices met with MPs yesterday. 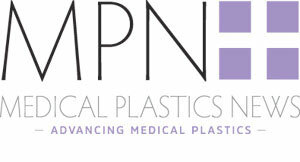 Vaginal mesh implants are made from polypropylene and are used to treat pelvic organ prolapse and incontinence following childbirth. The devices have been highly controversial and a number of women have spoken out about the pain they’ve experienced after having the mesh implants. In Australia, 700 women have taken Johnson & Johnson to court over its vaginal mesh implants, claiming the product has ruined their lives. In 2016 Johnson & Johnson agreed to pay over $120 million in relation to 2,000-3,000 US legal cases brought by women who claimed to have suffered organ damage due to vaginal mesh. “Ethicon will vigorously defend itself in lawsuits concerning the use of our pelvic mesh products. As well as meeting MPs, the women attended an event, hosted by Labour’s shadow Northern Ireland secretary Owen Smith MP who has campaigned against the implants in the past. Smith has previously failed to get the issue debated in the house of commons but will continue try to bring it up later this year. Speaking ahead of the event, Smith said: “I am deeply concerned that so many women have experienced profound, life-changing complications after mesh surgery. Women who have undergone the surgery invariably say they were advised that this was a simple operation, with little accompanying risk. But for too many, mesh implants have been the cause of chronic and debilitating pain. This issue must be more widely known and discussed." Senior doctors at the event called for a public inquiry into the use of the vaginal mesh devices, stating that complication rates for the procedure are unusually high, The Guardian reported. Speaking at the event Carl Heneghan, professor of evidence-based medicine at the University of Oxford and Sohier Elneil, a consultant urogynaecologist at University College Hospital, raised questions over the appropriate use of the devices. A report on the use of mesh implants was published by the Scottish Parliament in March 2017. The report recommended that vaginal mesh implants could continue under certain conditions but that patients should be made aware of any alternative treatments. BBC Good Morning Ulster spoke to Jackie Harvey, who is part of the campaign and had an implant installed 12 years ago before getting it removed. Harvey said: “I was fine for a short time after I got the implant but I went on to develop chronic pain in the pelvic area, hips, groin and thighs. I got x-rays and saw a rheumatologist but at no stage did anyone make a connection, and I didn't make a connection either." "I had the implant removed in March this year in England. Most of the problems have disappeared, but the pain is still there - however I feel much better than I was before."